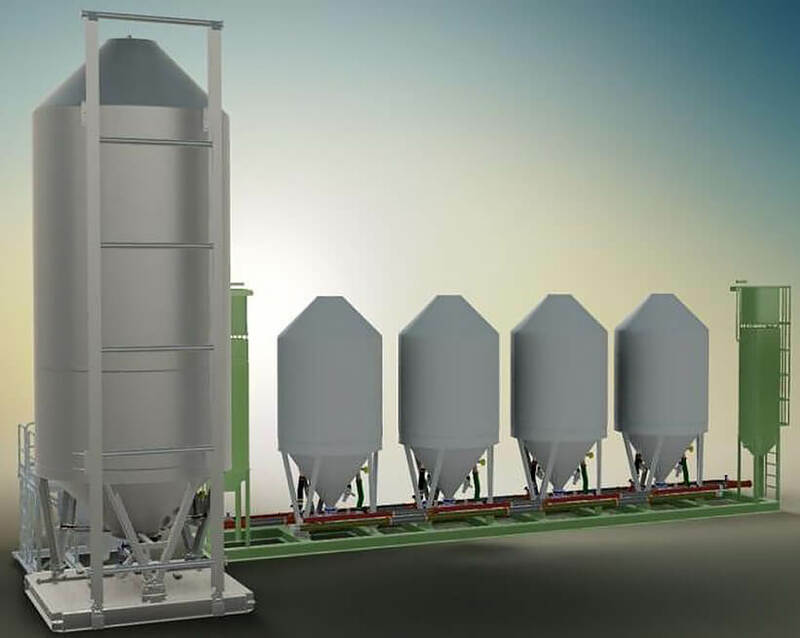 Quickmix Cement Batch Plant – Quickthree Solutions Inc. The Quickmix Batch System is a modular, low pressure, high flow, cement blending plant offering flexible flow configurations and excellent multi-stage blending with full dust recycling or waste by-product collection. In addition to our exclusive “Quickmix Venturi Rolling Nozzles” (patent pending) all tanks feature aggressive bottom aeration for thorough blending and fast batching rates. Increase your on site cementing operation productivity with the Quickthree Quickmix Cement Batch Plant. It is now possible to simultaneously blend in one silo while filling or emptying another (with optional compressor installed). Given the heightened perception of the environmental impact of the oil and gas industry, the Quickmix Cement Batch Plant has been purpose built in every way to promote the environmental responsibility of your operations. Employee safety is as important now as it’s ever been. You’ve spent a lot of capital on equipment and training, so losing even one hour is costly. The Quickmix Cement Batch Plant has been designed for safe operation and ease of access in operations and maintenance.